Xbox One makes a splash at Chinese game expo. Microsoft has a big presence at this year’s ChinaJoy, the largest gaming and digital entertainment expo in China and Asia. The company dated Xbox One for a September 23 release in the country, making it the first gaming and entertainment console approved for sale in China coinciding with the Shanghai Free Trade Zone one-year anniversary, and revealed a handful of new games for the platform, some Chinese-made. Here’s what we’ve been able to spot through Chinese coverage. These are in addition to the previously covered Neverwinter and King of Wushu. Yingpei Games, formerly Epic Games China and now a separate entity entirely, is working on Mercury, a third-person shooter for Xbox One. More footage here. Also from Yingpei Games, the sequel to online third-person shooter Mercenary Ops is coming to Xbox One. More footage here. 5pb.’s Steins;Gate is coming to Xbox One in some form. Not much is known, but it appeared in the ChinaJoy Xbox One games montage. The Gu Jian Qi Tan series from Gamebar is coming to Xbox One. Currently available on PC via Steam, Gamebar and S-Game’s 2D action platformer Rain Blood Chronicles: Mirage is en route to Xbox One. View footage here. Coconut Island Games’ tower defense and endless runner hybrid Naughty Kitties, currently available as a free download on iOS, is coming to Xbox One with a split-screen mode. View footage here. 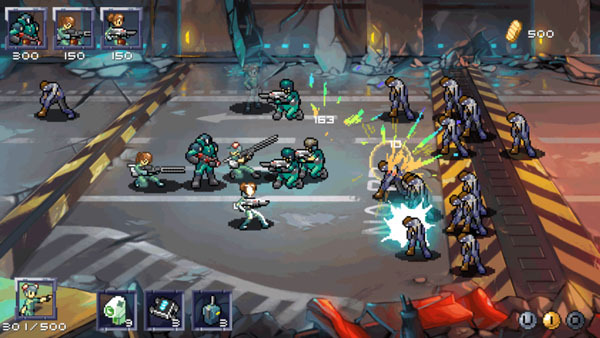 Judgement of Rage is a 2D side-scrolling action game that mixes “nirvana and combo” from Zeon Tech due out in late 2014. It will have anime cutscenes (1:58). Happy Landlords and Happy Mahjong from QQ are coming to Xbox One. Two more games from Perfect World, Reverse Blade and Ultimate Weapon, were mentioned at the Xbox One ChinaJoy press conference. These look to be brand new, as we’re not yielding any results searching up the Chinese names. AE-Mobile’s AE Lucky Fishing is coming to Xbox One.